This MTD GCS 380035 Petrol Chainsaw is extremely well priced and powerful. 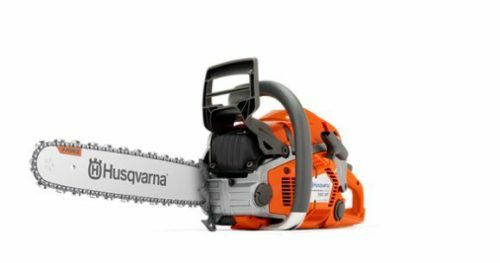 It has been designed to offer domestic users the performance levels of a professional chainsaw but at really low budget price. It has an powerful 37.5cc 2-stroke petrol engine which delivers plenty of torque and a fast work rate even on tougher cuts. The MTD GCS3835C Petrol Chainsaw comes with a 35cm/14" guide bar and a 3.8" chain making it ideal for sawing up logs for the fire plus falling smaller trees and general timber work. It features a lateral chain tensioner which helps to ensure your saw is always working at its best. This MTD GCS 4100/40 Petrol Chainsaw is extremely well priced and powerful. It has been designed to offer domestic users the performance levels of a professional chainsaw but at really low budget price. It has an powerful 37.5cc 2-stroke petrol engine which delivers plenty of torque and a fast work rate even on tougher cuts. If you only have to saw something in the garden now and again, then the battery chain saw is the tool for you. It lets you work free of cables and weighs just 2.7 kg, featuring a short cutting length of 20 cm and a 2-hand safety switch, ensuring a safe grip for even the unpractised user. Over its running time of 40 minutes it is possible to make around 110 cuts through dry wood of a diameter of approximately 70 mm – the work involved in cutting up a small fruit tree, for example. The Husqvarna 130 Petrol Chainsaw is a lightweight, but efficient chainsaw that delivers great performance and has been designed with ease of use in mind for intended occasional use. 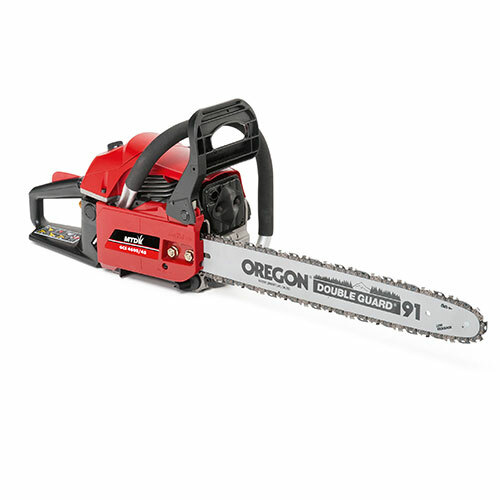 Perfect saw for lighter tasks such as cutting firewood, felling smaller trees, general property maintenance, pruning and carpentry work. 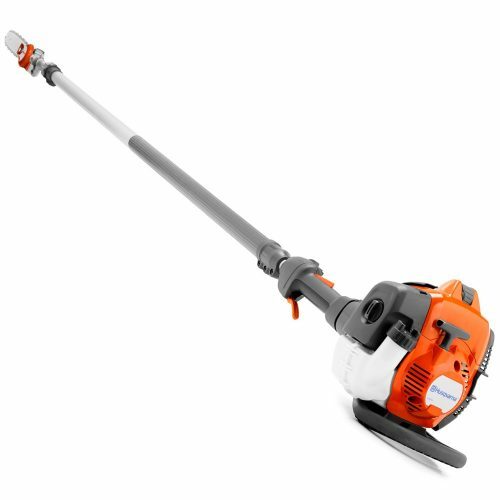 The Husqvarna 115iPT4 Cordless Pole Saw Unit Only is a lightweight battery-powered pole saw with good cutting capacity, low noise and no direct emissions. 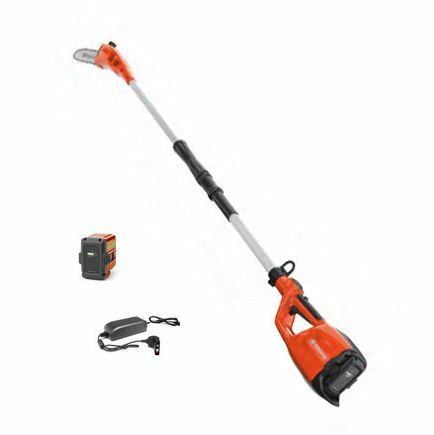 The telescopic tube provides reach of up to 4 metres. 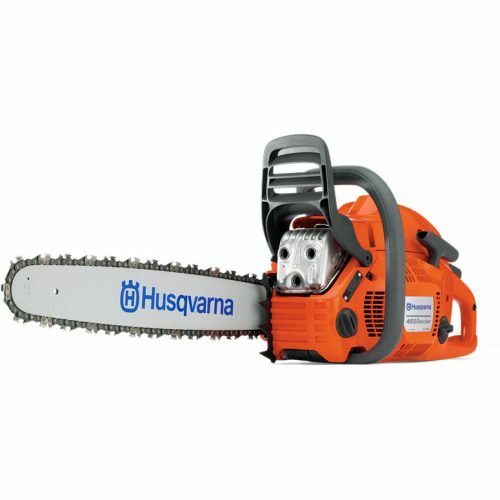 The Husqvarna 135 is a lightweight and efficient domestic chainsaw ideal for those looking for a small petrol chainsaw that is exceptionally easy to start and manoeuvre. Featuring a powerful X-Torq 40cc chainsaw engine for lower fuel consumption and reduced emission levels. Equipped with fuel pump and Auto return stop switch for easier starting. Comes with a 14" chainsaw bar fitted as standard. 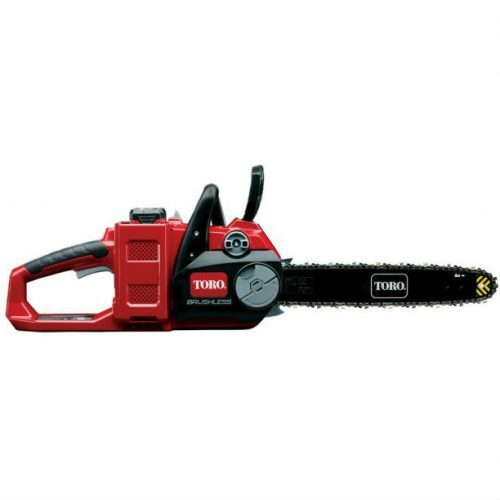 TORO PowerPlex 51138 Brushless DC 35.5cm Chainsaw with no pull easy start, simply push the button. Powerful brushless motor for more power, more run time and longer life than a brushed motor. Reduced kickback, Oregon chain, bar tip indicator, chain brake & metal bucking teeth. Automatic chain oil with oil level indicator, so you know when it needs refilling. Tool-free chain tensioning, simply adjust by turning the knob with your fingers. Lightweight 5kg design for easy handling. 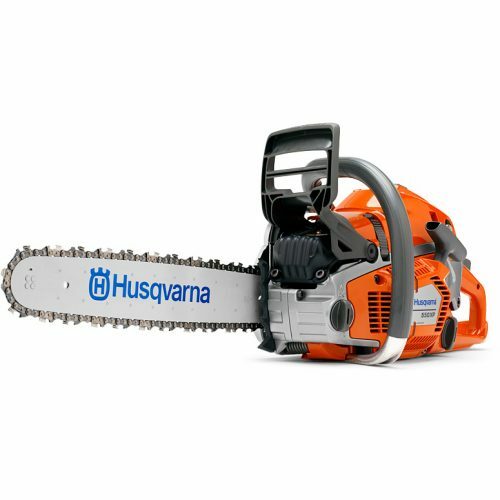 The Husqvarna 435 chainsaw is lightweight and easy to manoeuvre, ideal for those looking for a domestic chainsaw for the garden or a small amount of land. Husqvarna's unique Smart Start feature means that operators are required to produce up to 40% less force on the pull cord to start the chainsaws engine. Featuring an X-Torq petrol chainsaw engine it improves fuel consumption up to 20% and reduces exhaust emission by up to 75% when compared to other saws on the market. 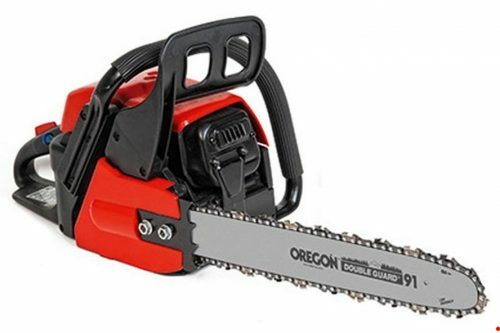 Equipped with a fuel pump and Auto return stop switch to make the chainsaw easy to start, it comes with an interchangeable 15" chainsaw bar as standard. The Husqvarna 440 e-Series is a second generation, efficient, lightweight chainsaw ideal for those looking for a easy start chainsaw with exceptional manoeuvrability. Equipped with Smart Start this petrol chainsaw requires up to 40% less force on the pull cord when starting the chainsaws engine. 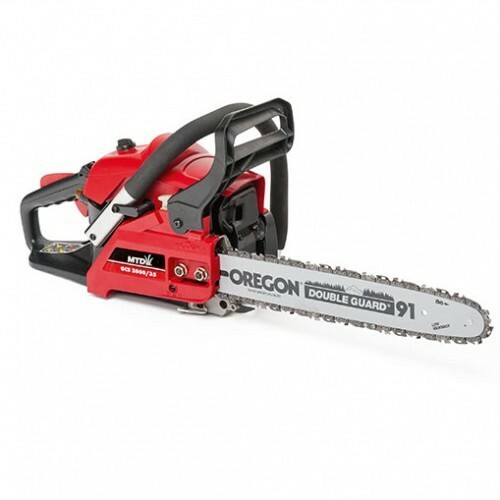 Additional features making this chainsaw easy to start include an Auto Return stop switch and fuel pump, helping to get you started with the minimum of fuss. 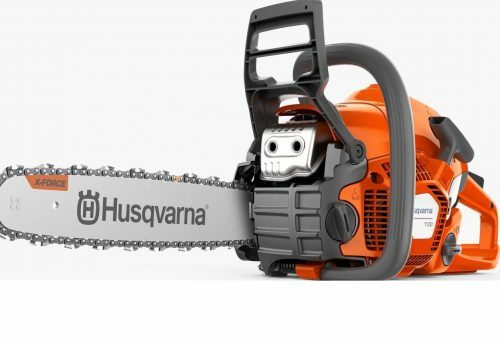 Fitted with Husqvarna's unique X-Torq petrol chainsaw engine it reduces emissions up to 75%, increases engine torque by up to 18% and increases fuel economy up to 20% when compared to other chainsaws. Supplied with an interchangeable 15" chainsaw bar as standard, the 440 e-series tool less chain tensioner makes tensioning the chainsaw chain quick and easy, while its flip-up fuel tank cap makes re-filling your chainsaw a much simpler task. The Husqvarna 445 e-series chainsaw is a second generation powerful semi-professional chainsaw for people who need a little more performance. 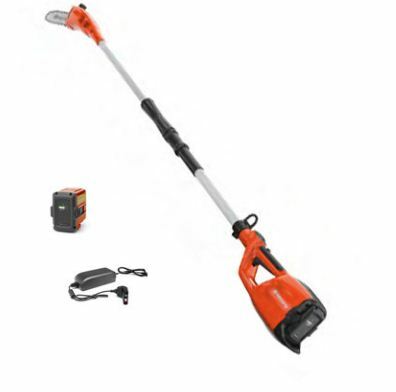 Ideal as a pruning chainsaw, or for felling or chopping firewood. It's an easy start chainsaw that can be started with a slower pull on the starter cord than most other chainsaws because of its clever Smart Start technology. The 445 e-series has an auto return stop switch enabling the user to start the chainsaw quickly. The X-Torq petrol chainsaw engine means that it uses up to 20% less fuel while emitting up to 75% less emissions. Featuring a tool-less chain tensioner and visible fuel level this lightweight chainsaw comes with a interchangeable 18" chainsaw bar fitted as standard. 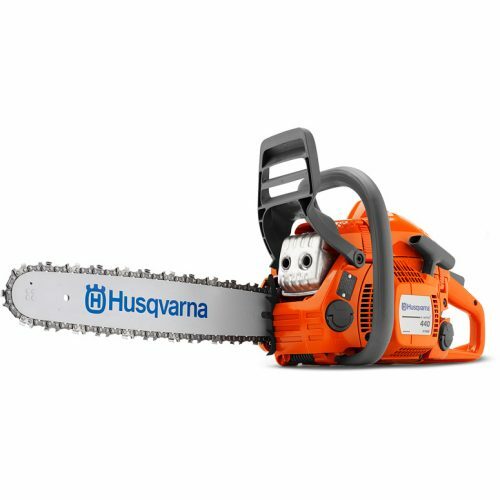 The lightest top handled chainsaw in the Husqvarna range with a bar length of 10 inches. Weighing only 2.7kg (minus bar, chain and fluids) and combined with a powerful, low emission X-Torq engine makes the T525 the professionals choice for pruning and trimming work jobs. 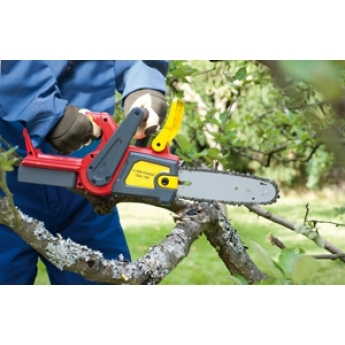 This top handled chainsaw is only for professional tree surgeons and therefore a certification of competence in chainsaw use from a rope and harness (or equivalent) must be provided before or during purchase. 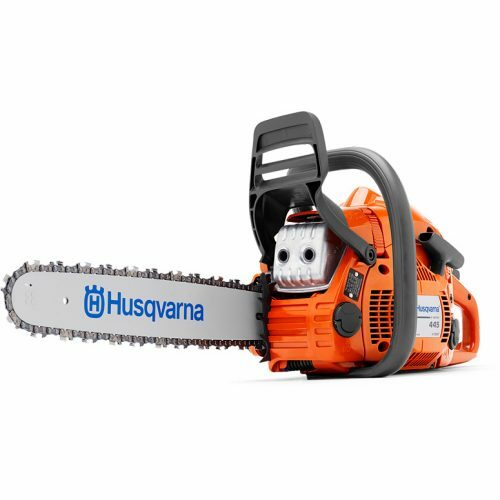 The Husqvarna 450 e-series is a second generation petrol chainsaw suitable for creating firewood, pruning, or felling. An easy start chainsaw that requires up to 40% less force when pulling the starter cord thanks to Husqvarna's unique Smart Start feature. Fitted with an X-Torq 50cc chainsaw engine that reduces fuel consumption by up to 20%, reduces emissions up to 75% but still increases the torque the chainsaw produces by up to 18%. Supplied with an interchangeable 18" chainsaw bar as standard, this petrol chainsaw comes with a tool-less chain tensioner enabling you to tighten your chainsaws chain quickly and easily and visible fuel level. 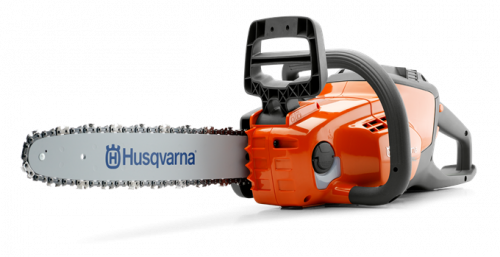 The Husqvarna 555 professional chainsaw is developed for demanding work by contractors and land owners. This chainsaw uses our new ground breaking slimmed down design and is loaded with raw power for efficient operation. Our unique X-Torq petrol chainsaw engine technology provides more power when you need it, plus uses up to 20% less fuel and produces 75% less exhaust emissions. Supplied with an interchangeable 18" chainsaw bar as standard. Designed for professionals, the Husqvarna 525P4S pole saw gives excellent ergonomics and superior balance, helping you avoid stresses and strains that come from awkward working positions. Easy to manoeuvre, its X-Torq® engine ensures rapid acceleration and high torque with low emissions and low fuel consumption. Choose one of the best small chainsaws in the world. 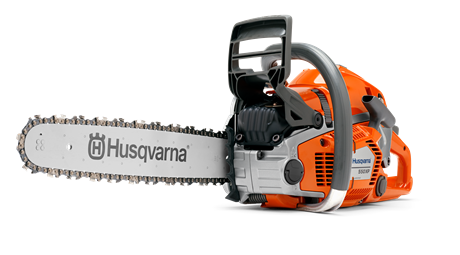 The Husqvarna T540 XP® Mark II is a high-end, top-handled chainsaw designed for professional customers, including arborists, landscapers, gardeners and utility contractors. If you need superior performance, innovative features and exceptional ergonomics, you’ve found the ideal saw. 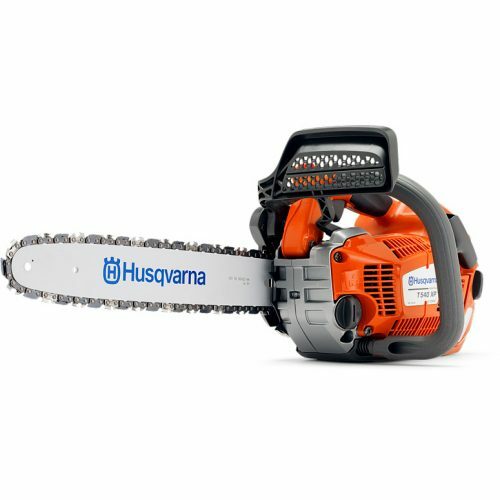 The Husqvarna T540 XP® petrol chainsaw is an extremely high performance top handle chainsaw, designed for use by professional arborists only. 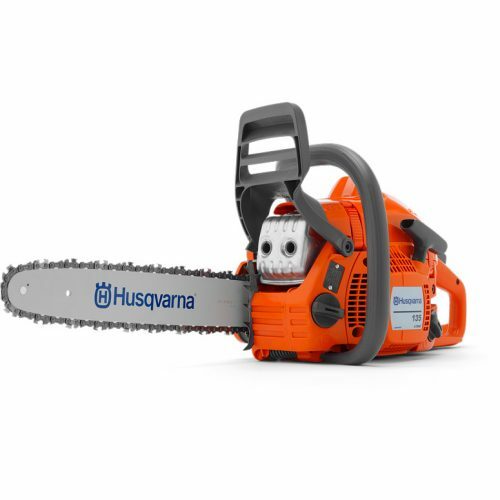 As a professional chainsaw user, we know that reliability, ergonomics and speed is key to you and your business, that’s why all Husqvarna chainsaws are built to the highest standard with true user focussed features to make your job easier. That’s why this arborist chainsaw is built around the needs of the user. 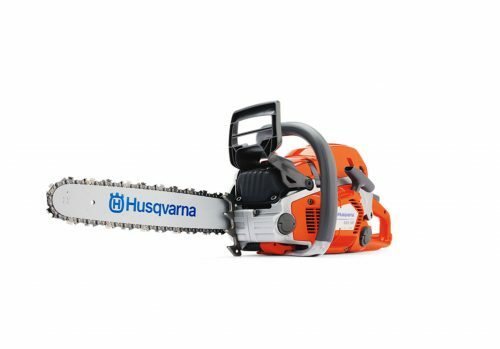 Not only does this top handle chainsaw use up to 20% less fuel but it also reduces the emissions up to 75%, helping to keep the amount of exhaust gases caught in the canopy of the tree to a minimum. 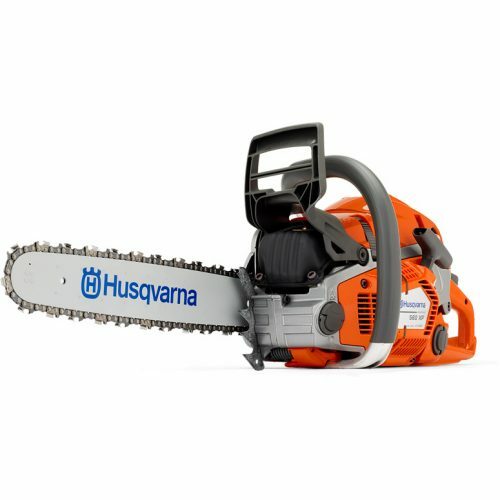 On top of that, this arborist chainsaw features AutoTune which automatically adjusts the engine settings based on environmental conditions, like heat, altitude, filter condition to ensure optimal engine performance. This petrol chainsaw is also fitted with a TechLite bar which is 18% lighter than a traditional chainsaw bar with increase rigidity, aiding both balance and manoeuvrability, which is especially helpful when working in a tree, but also comes with medium, large and extra-large grips for you to customise for maximum comfort and control, for increased climbing efficiency the chainsaw also features a secondary eyelet for easy connection to a harness mounted hook. 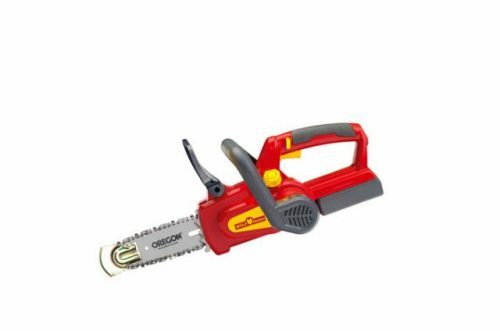 This petrol top handle chainsaw is available with a 12” (advertised price) or 14” chainsaw bar as standard. 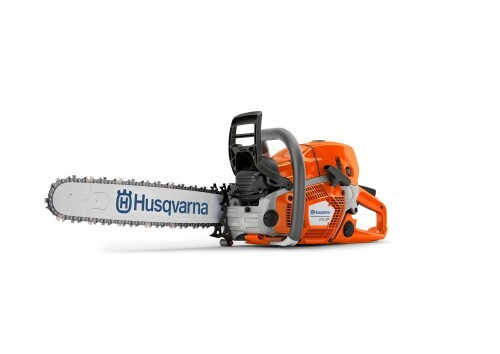 Husqvarna 550 XP is developed for tree care professionals and skilled land owners. The saw has a ground breaking design and is loaded with innovative solutions for efficient, convenient operation. The unique X-Torq engine technology provides more power where you need it, up to 20% less fuel consumption and 75% less exhaust emission. Designed with professional users in mind, the Husqvarna 365 petrol chainsaw offers high performance in the most demanding conditions. The low weight and high power are combined with a rugged X-TORQ 70cc chainsaw engine, making it exceptionally versatile and suited for a wide variety of applications, whilst also being more environmentally friendly with a radically lower exhaust emission level and fuel consumption than other heavy duty chainsaws. 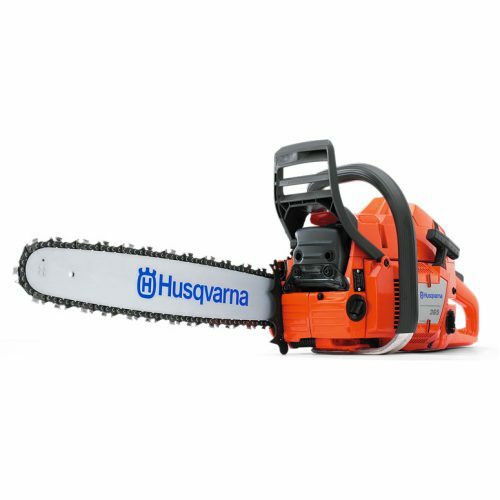 Husqvarna 550 XP® G MK11 is developed for tree care professionals and skilled land owners. The saw has a ground breaking design and is loaded with innovative solutions for efficient, convenient operation. Our unique X-Torq® engine technology provide more power where you need it, up to 20% less fuel consumption and 75% less exhaust emission. Heated handles increases comfort in cold and damp conditions. 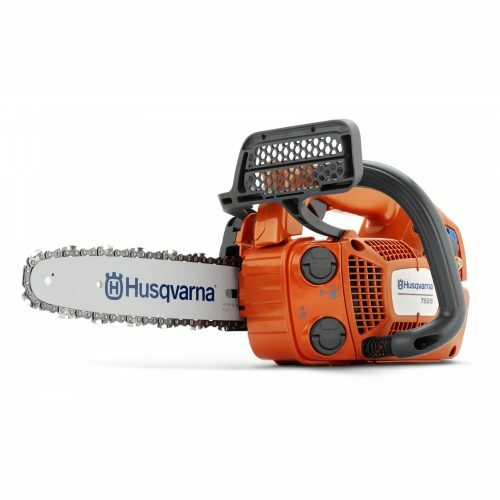 The Husqvarna 560 XP® petrol chainsaw is developed for professional loggers and skilled land owners. This heavy duty chainsaw has a ground breaking design and is loaded with innovative solutions for efficient, convenient operation. This easy start chainsaw helps increase productivity, while the Husqvarna X-Torq engine helps provide more power when you need it, using up to 20% less fuel while producing 75% less exhaust emissions versus other professional chainsaws. RevBoost™ provides an instant high chain speed for extra efficient de-limbing in the toughest conditions. Supplied with interchangeable 15" chainsaw bar as standard. AutoTune gives optimal engine performance throughout automatic engine setting.No time spent on carburettor adjustments. It compensates fordifferent fuels, altitude, humidity, temperature and clogged air filter. 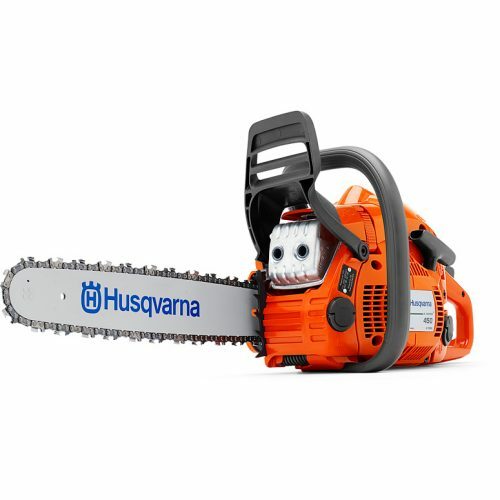 The Husqvarna 560 XP G petrol chainsaw is developed for professional loggers and skilled land owners. This heavy duty chainsaw has a ground breaking design and is loaded with innovative features for efficient, convenient operation. Our unique X-Torq commercial chainsaw engine technology provides more power where you need it, using up to 20% less fuel while producing up to 75% less exhaust emission. RevBoost provides instant high chain speed for extra efficient de-limbing. Heated handles increases comfort in cold and damp conditions. Supplied with interchangeable 15" chainsaw bar as standard. The Brand new Husqvarna 562 XPG has a ground breaking design and is loaded with innovative solutions for efficient, convenient operation with a large air filter. Similar to the well-loved 560XP, the main difference is it coming supplied as standard on a 3/8" 18" bar and chain, giving more cutting power to the already powerful engine on a light weight ground saw. The unique X-Torq® engine technology provides more power where you need it, up to 20% less fuel consumption and 75% less exhaust emissions. Comes with a Heated Handle (G). The objective of the new generation, headed by the 572 XP, is to deliver chainsaws with outstanding productivity, durability and reliability, while at the same time, staying true to Husqvarna’s heritage and provide high ergonomics and safety. The next generation is built from scratch on a new platform, which is set to be the new foundation for professional chainsaws going forward. 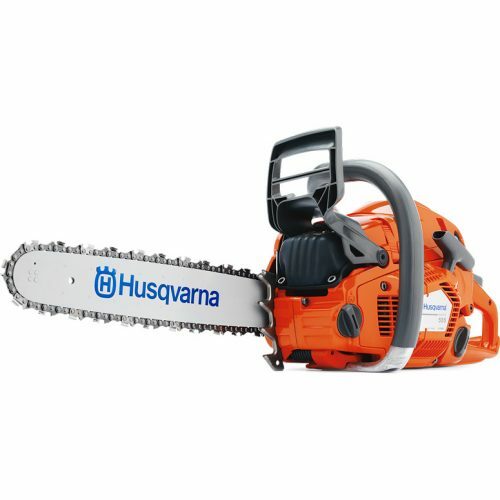 The chainsaws are manufactured on the same grounds in Sweden where Husqvarna chainsaw history began in 1959. The development of the new platform has benefited from digitalisation, as Husqvarna has further employed new technical solutions including sensor-based data collection and digital prototyping. Digital prototyping enables highly accurate stress analysis to optimise chainsaw design, while sensors were placed on the chainsaws in field tests to collect data on usage statistics. The objective of the new generation, headed by the 572 XP, is to deliver chainsaws with outstanding productivity, durability and reliability, while at the same time, staying true to Husqvarna’s heritage and provide high ergonomics and safety. The next generation is built from scratch on a new platform, which is set to be the new foundation for professional chainsaws going forward. 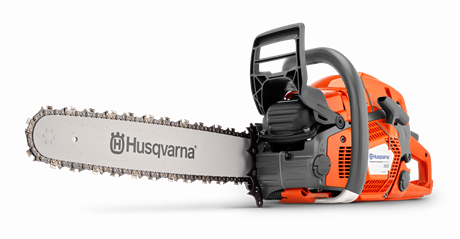 The chainsaws are manufactured on the same grounds in Sweden where Husqvarna chainsaw history began in 1959. The development of the new platform has benefitted from digitalisation, as Husqvarna has further employed new technical solutions including sensor-based data collection and digital prototyping. Digital prototyping enables highly accurate stress analysis to optimise chainsaw design, while sensors were placed on the chainsaws in field tests to collect data on usage statistics.